Once items are being tagged at the source, there are many different places and ways within the retail supply chain that RFID can be used to improve performance or provide additional value to the consumer. Here we elaborate on those. This is part two in our series on Item-Level RFID. In part one (The Retail Revolution and Why Now for RFID), we discussed the foundational role item-level RFID plays in key initiatives for today’s retailers, including omni-channel integration, a differentiated customer experience, and the struggle to maintain or improve margins. An end-to-end implementation enables sophisticated and adaptable processes with the supplier, carriers, 3PLs, and retailers. This includes a range of valuable process improvements as illustrated in Figure 1, below. Click here to open an interactive version of this chart, which will show the connections between processes and supply chain nodes. As shown in Figure 1 above, once items are being tagged at the source, there are many different places and ways within the retail supply chain that RFID can be used to improve performance or provide additional value to the consumer. Each retailer, working in conjunction with their suppliers and third party service providers, will need to decide where to focus investments and attention. Even something as simple as reducing out-of-stocks (OOS) at the store can be addressed in several different ways by RFID. 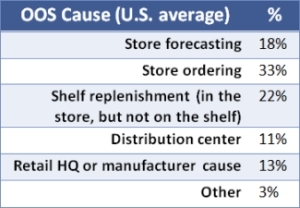 The causes of OOS are varied (see Figure 2 - Causes of Out-of-Stocks). With RFID, the frequency and accuracy of cycle counts in the store can be dramatically increased, thereby greatly improving perpetual inventory accuracy, which in turn improves store forecasts and ordering. Alternatively, RFID can be used to improve shelf replenishment by automatically alerting store associates to refill shelves. Or DC perpetual inventory counts can be greatly increased, not only by more frequent cycle counts, but also by receipt and shipment verification. US retailers' average out-of-stock rate is about 8%,1 resulting in about 3.4% loss of revenue for retailers2 and 2.6% loss of revenue for suppliers. 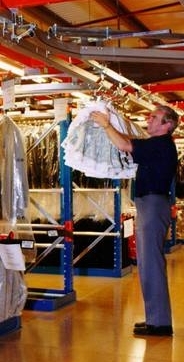 RFID helps reduce OOS levels, resulting in increased sales. How much? One study3 found that the use of case-level RFID in the back and front of the store reduced out-of-stocks by an average of 62% for fast moving goods (products selling 7-15 units per day per store) and 30% across all goods. Those improvements translate into a 1% increase in sales for retailers. While case-level RFID in the store only focuses on improving shelf-replenishment (22% of OOS causes), item-level across the chain can additionally improve store ordering, DC, and manufacturing causes, potentially increasing the sales uplift to 2%-3%. A 2% sales uplift for a $15B retailer translates to $300M in increased sales, a great payback for simply addressing OOS issues across the supply chain using item-level RFID. 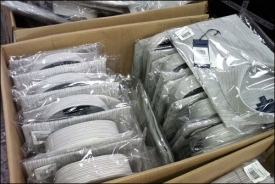 Besides decreasing OOS, RFID improves inventory accuracy and timeliness of replenishment decisions. This enables retailers to have the right items in stock more quickly—both reducing markdowns and increasing sales further. And there are countless other improvements RFID enables—better promotional effectiveness and uplift, increased store associates’ time with customers, reduction in shrinkage, improved efficiencies and labor cost reductions across the supply chain, reduction in retailer-supplier disputes, reduction in warranty and returns fraud … the list is almost endless. 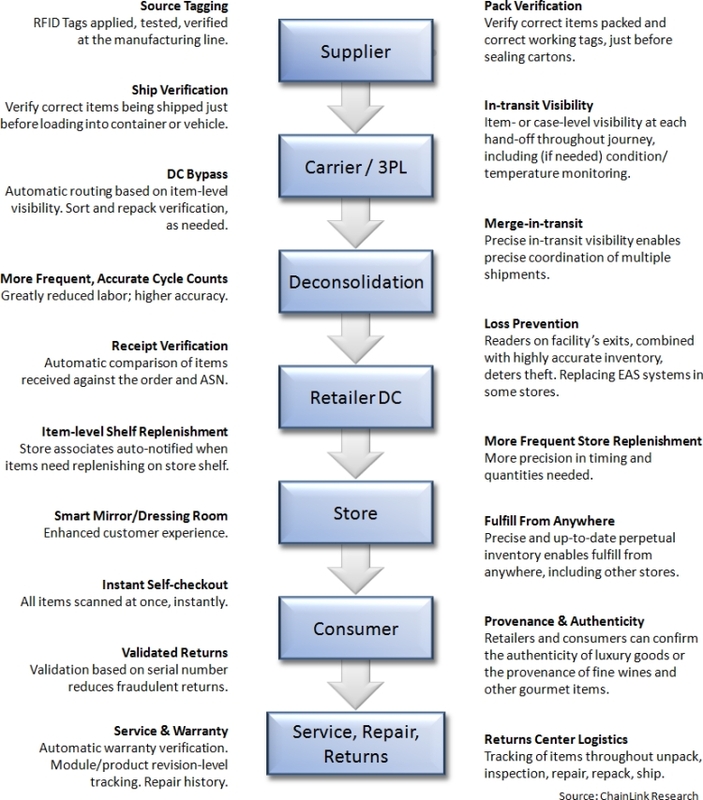 Thus, regardless of the initial impetus and goals for an RFID implementation, it is in the retailer’s interest to plan ahead and think about the longer-term goals and broader end-to-end potential, ensuring that the systems they put in place initially have the adaptability and scalability to ultimately support those longer-term, end-to-end improvements. In early pilots, retailers largely tagged items themselves at the store or in their DCs. This still happens in a few cases, such as Borsheims’ tagging of jewelry at the store. But in the majority of cases, once a retailer goes beyond the pilot and into production, it is more cost-effective to have tags applied by the manufacturer at the source. Suppliers are being asked to apply the tag at the point of manufacturing and in some cases the logistics service providers are expected to provide item-level visibility of goods in motion throughout the supply chain. Hence, RFID-related requirements have been added to the vendor compliance manuals of many major retailers. What do these new mandate requirements mean for suppliers? How are suppliers adapting? How can they realize benefits to offset the costs? Diligent suppliers avoid charge backs by testing RFID tags before and after packing, to make sure they are 100% readable and correct in the carton. Most retail suppliers already have substantial experience complying with various retailers’ mandates, including very specific requirements for tagging and ticketing items. The new RFID mandates are, to a large extent, simply extensions of the current ticketing requirements. RFID may be integrated into the barcode label or tag or it may be an additional new hangtag or label. To avoid penalties/chargebacks resulting from the retailer receiving non-functioning RFID tags, suppliers need to test tags to verify that they work—typically done in bulk mode (often by a service bureau) before the tags are applied. Diligent suppliers test again before shipping, to make sure there are 100% readable tags going into the carton. Some retailers find, as they start implementing item-level RFID, that the rate of supplier errors seems to rise suddenly. Of course suppliers aren’t suddenly getting worse. Rather RFID exposes errors and lack of precision already existing on the supplier’s side. RFID automates the receipt accuracy checking process for the retailer, comparing what was actually received against what was ordered and what was in the ASN. Once the supplier starts getting this feedback from the retailer, often within a month or two, many of those errors are reduced. The new process integrity helps expose and correct issues that were previously slipping through the cracks. RFID provides a level of electronic Proof of Delivery (e-POD) not previously attainable with barcodes—automated 100% verification of exactly what was received at the item level. Errors in the e-POD may occur when a tag malfunctions or cannot be read or an item was mistagged (e.g. wrong tag on the item, missing or duplicate tags on an item). This is another reason for suppliers to perform Pack Verification (see the Pack Verification section below). It is in the interest of the supplier to make process improvements in order to realize benefits and ROI from their RFID investments. RFID is not free for suppliers. Tags can add in the neighborhood of 10-30 cents per item shipped, depending on volumes, type of tag, and services provided by service bureau and/or label converter. In addition, there are one-time costs for readers and implementation costs such as retraining staff and IT integration (depending on what the supplier is trying to accomplish). The per-item cost can be hard to absorb for low-margin items. It is in the supplier’s interest to try and get some benefits from these investments. If the supplier does the bare minimum to meet a mandate, then it is all cost and no benefit to the supplier (except, of course, the overarching benefit of keeping that business with the retailer). However, there are potential process improvements that suppliers could make. Some of the more immediate and obvious ones involve using RFID for pack verification, ship verification, and ASN generation. Errors are much cheaper to catch and correct at the supplier’s packing and shipping operations than at the retailer’s receiving operations. Pack verification happens after a worker has packed a case or carton, usually just before sealing it. All of the RFID tags in the case are read and compared against the ship order. This read can happen automatically (if the packing station has a built-in reader) or by the worker using a handheld reader (less new infrastructure required, but more per-order labor required than the built-in reader). If everything matches, then the case is sealed. If there are discrepancies, then a worker manually investigates and fixes any issues. As mentioned above, the issue could be that the wrong items are in the carton, but it also could be that a tag is not working or an item is mistagged. All of those issues are much cheaper to catch at the supplier’s shipping operations than at the retailer’s receiving operations. Ship verification is similar, except that it happens as cartons are loaded onto the truck or onto a pallet and then again as pallets are loaded onto a truck. This confirms that the right items are being loaded into the right vehicle. This information can be fed to the system that will generate and send the ASN. This comes almost as close as possible to a 100% guarantee that the ASN will always match exactly what was shipped. Chargebacks and penalties are reduced when there is strong integration between the suppliers’ and retailers’ systems. Combining pack and ship verification with automatic ASN generation helps assure that the data hierarchy within the supplier’s system for item-to-carton-to-pallet-to-ASN are error-free and aligned. The supplier can then use this data in important ways to leverage EDI transaction data while keeping track of change orders from the retailer, assuring that all the documents and processes the supplier must adhere to are taken into account. Retailers provide specific guidance from the largest to the minutest requirements. Although it is a big task, the benefits of avoiding charge-backs, reducing order-to-shelf cycle times, and improved retailer relationships more than offset the cost of compliance vigilance. As the use of RFID becomes more widespread at a supplier, there is also potential for RFID to be used earlier in the process. For example, if the tags are applied in manufacturing process, then they can be used during putaway of finished goods, during picking at the manufacturer’s warehouse, and to enable more frequent and accurate inventory cycle counting in the manufacturer’s finished goods warehouse. In spite of the potential benefits, it is hard to find suppliers that are currently doing more than simply meeting the minimum retailer requirements (adding the required RFID labels to their shipments). Partly this is because it takes time and investment to change processes and systems. As a larger and larger percentage of suppliers’ outbound shipments are tagged with RFID, we expect it will reach a tipping point where some suppliers decide to implement those process changes and start reaping some of the rewards, so that RFID can become more than just an additional cost for them. In fact, because of the benefits, a few manufacturers have decided to implement RFID without any mandate from their retail customers. 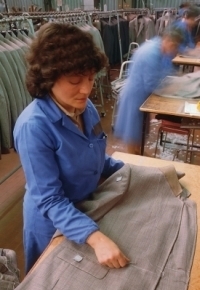 One example is Rica Lewis, the top blue jean manufacturer in France. They do direct-store-delivery and manage the restocking at their retail customers’ stores, which include Carrefour, Groupe Casino, and Auchan Group. Tags are applied at the manufacturing plant and then used to insure pack and ship verification at Rica Lewis’ DC. At the store, the Rica Lewis sales person can now take a complete inventory within 10 minutes, instead of spending an hour or more scanning items. This gives the salesperson more time to interact with and sell to their retailer customer. Maybe in the next couple of years, more than a decade after Walmart’s original RFID announcements, other suppliers will follow the lead of progressive manufacturers like Rica Lewis and will begin to change their processes and actually turn RFID into a win-win for themselves and the retailers. To download the research report from which this article was excerpted, click here: The Explosion of Retail Item-Level RFID: a Foundation for the Retail Revolution.